Oberstdorf will host the 2021 Nordic World Championships, so athletes will be focusing on this important test-event in 2020. In addition to the seemingly infinite trails in Seefeld, try lift-serve sledding at the Hochmoos Alm, spend an afternoon in the Olympic city of Innsbruck and test your skills at Eisstockschiessen, Austrian curling, while you sip warm mulled wine. 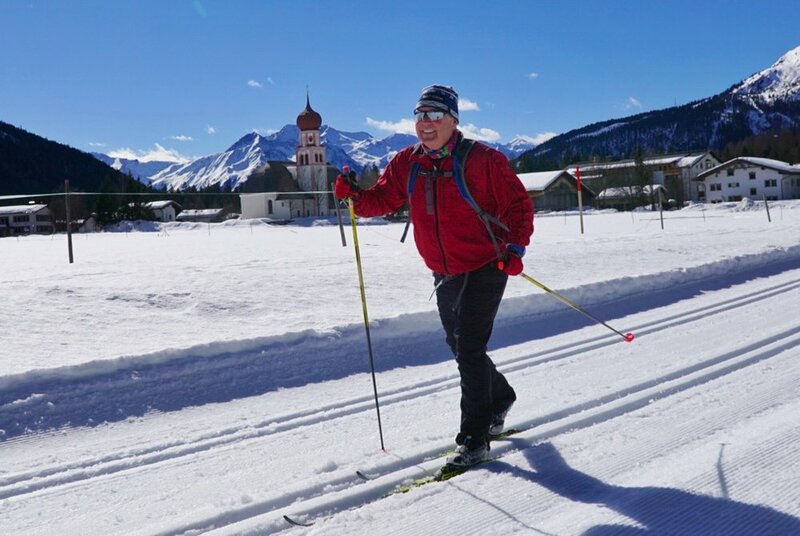 Afterwards, travel to Oberammergau, Germany and compete in the König Ludwig Lauf Worldloppet ski marathon. When you are not out skiing, savor meals in your hotels, known for their cuisine, and relax afterwards with a sauna or swim. Kick your feet up and let us wax your skis, including HF race wax for the König Ludwig Lauf. Do all this while supporting the National Nordic Foundation on your ski vacation. Sign up soon! $5,350 for reservations before April 30, 2019. Sign up below to receive our detailed 2020 trip itinerary. Our Lumi Experiences trip had an exceptionally talented group of trip leaders. It was well planned and full of fun surprises that enhanced the experience. Sledding was a hoot, and skiing to our hotel afterwards was awesome. I love the Dolomites and the Tyrol. Austrian curling was a blast. First class care and attention to detail made this a trip of a lifetime for us.